faith community where every student belongs. We belong where we can soar. 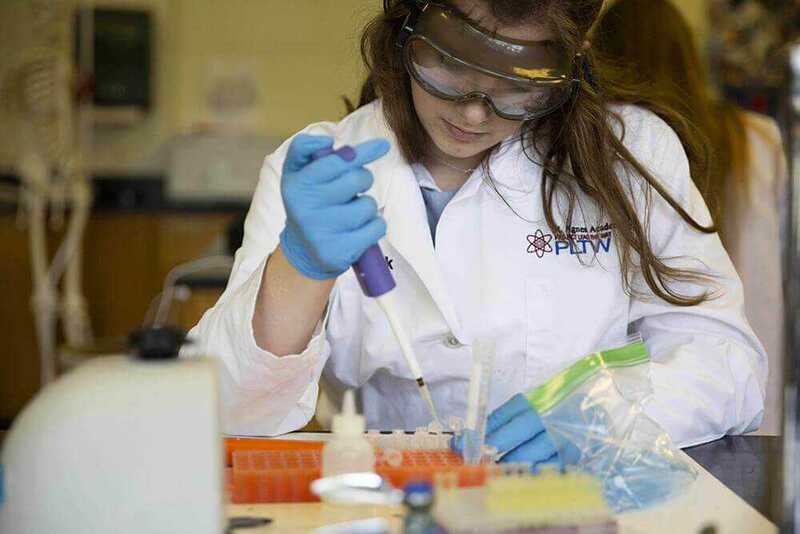 We have high expectations of our students, and we create an environment where each student can thrive. 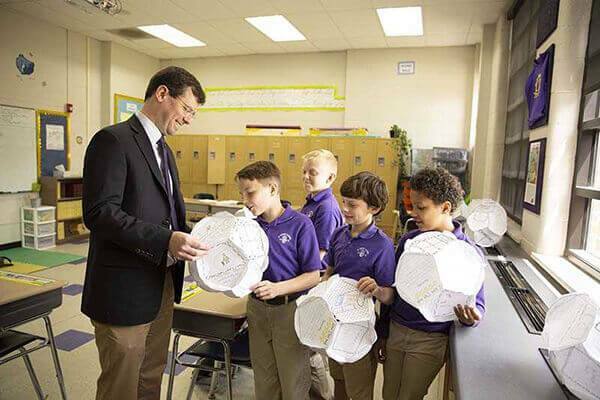 Small class sizes and attentive teachers help students find their most successful selves. The foundation of our community is our faith. 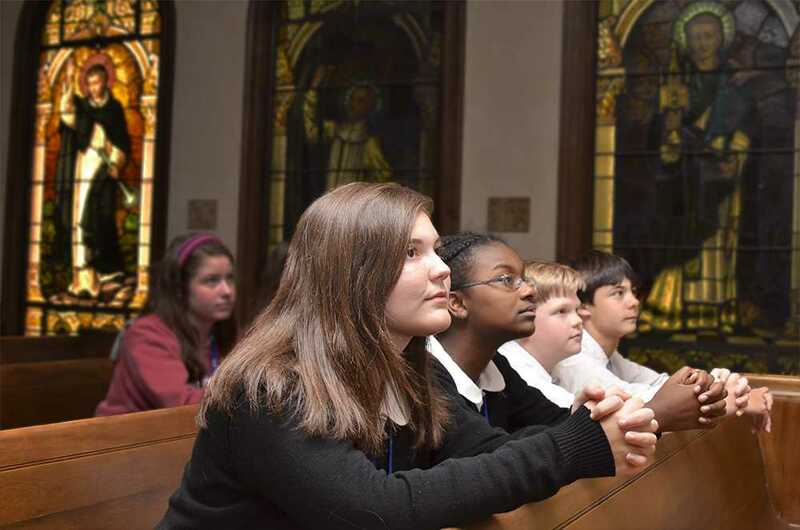 From chapel to the classroom to the way we treat one another, our faith guides all that we do. We belong to a school family. We have long been committed to creating an environment where every student feels the love and confidence that fuels achievement and success. We live daily lives of respect, support and kindness. You will not find a more supportive school community. We belong in the world. We know that we are part of a larger community beyond the walls of our schools and that we are called to serve our brothers and sisters. We cultivate a drive to serve. 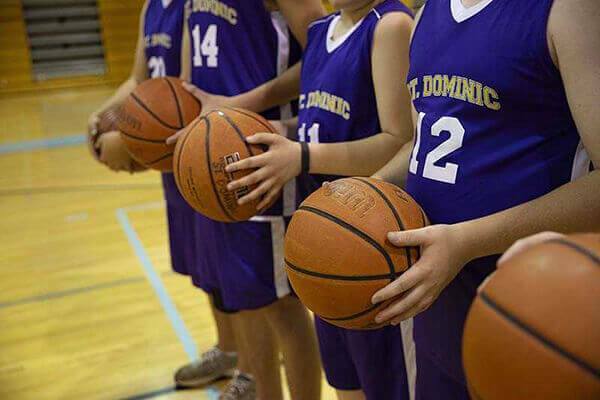 The Dominican Community of Schools is more than a campus where you’ll find two challenging schools. It is a single community of faith and respect; of principle and purpose. 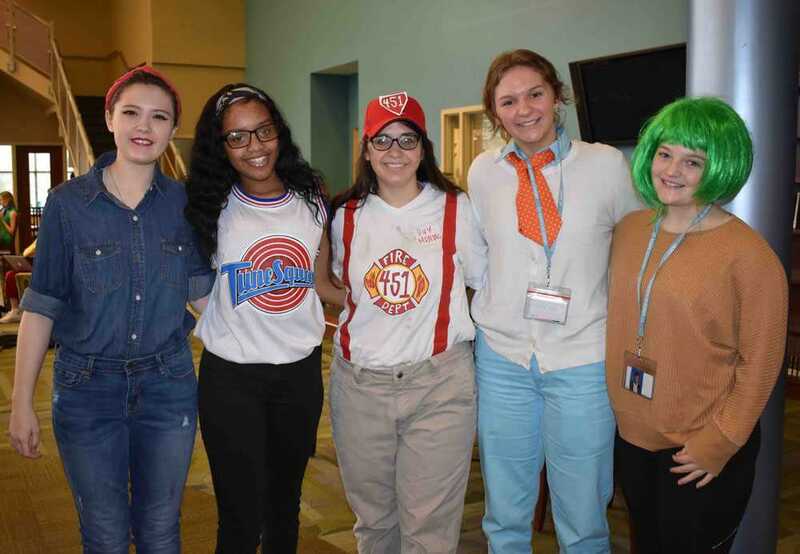 Ms. Ellie Connick is the freshman and sophomore English teacher for the St. Agnes Academy Upper School, along with being the freshman class sponsor, assistant coach for the swim team, and the high school Writer’s Room tutor. 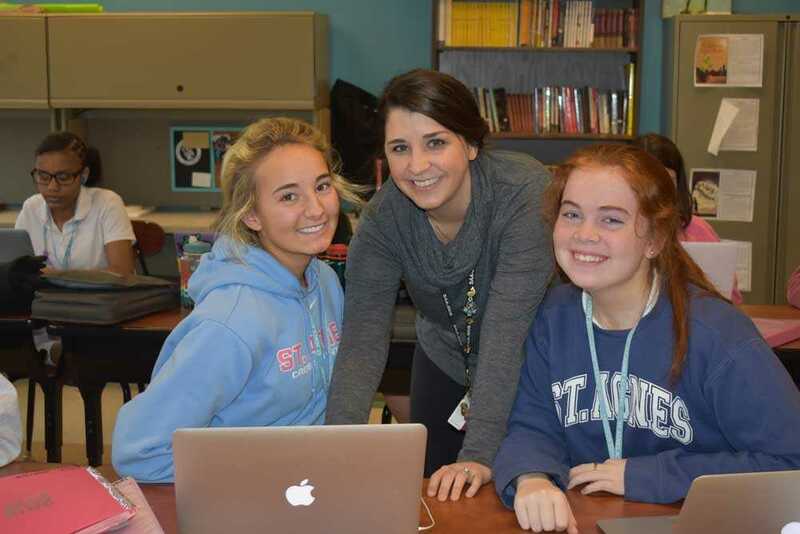 Although Ms. Connick has only been a part of the St. Agnes community for the past four years, she has truly become an irreplaceable teacher and role model for everyone at our school. 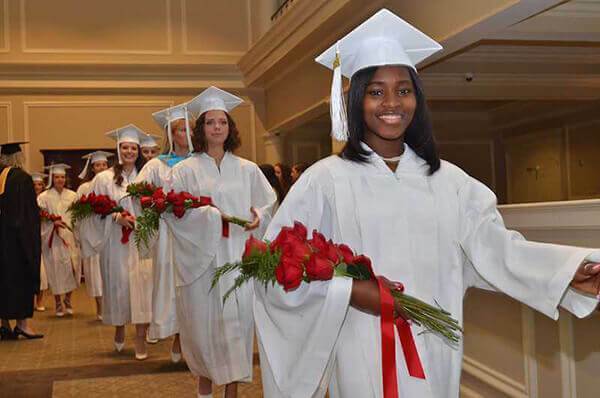 Not only was Ms. Connick’s decision to come to St. Agnes influenced by her previous Dominican education at her alma mater, St. Mary’s Dominican High School, her experiences during her junior year of high school were also a foreshadowing for her place here at St. Agnes. 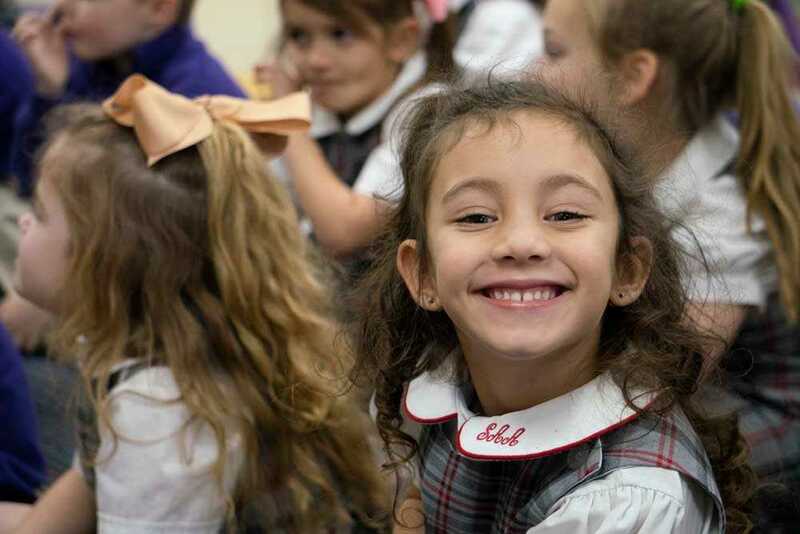 In 2005, when Hurricane Katrina forced her family to flee New Orleans for Houston, Texas, Ms. Connick found herself in yet another Dominican school also named St. Agnes Academy. 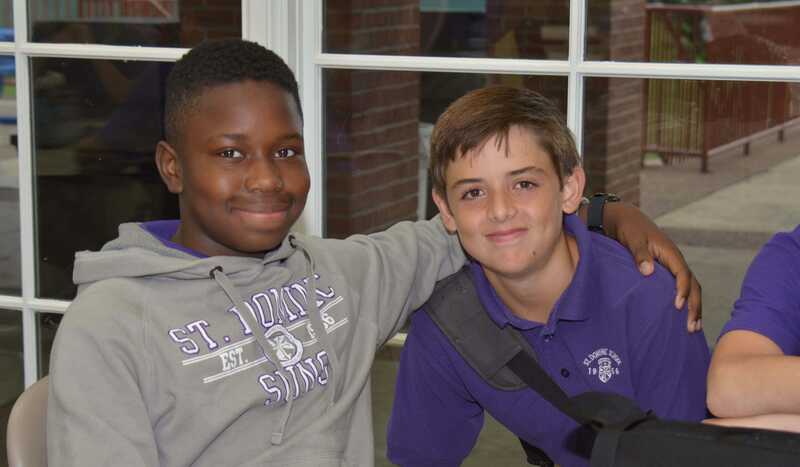 “I’ll never forget how gracious the faculty and students at St. Agnes in Houston were to us during that difficult time,” Ms. Connick said. 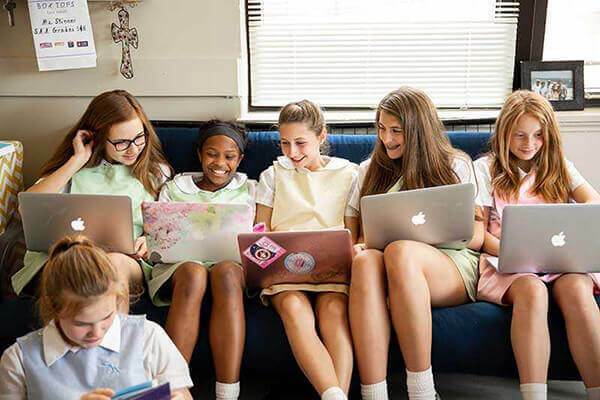 After coming to our own St. Agnes in Memphis, Ms. Connick reflects that the Dominican tradition of the four pillars, Prayer, Study, Community, and Service, have truly united all of these places and made them each a home for her at different points in her life. 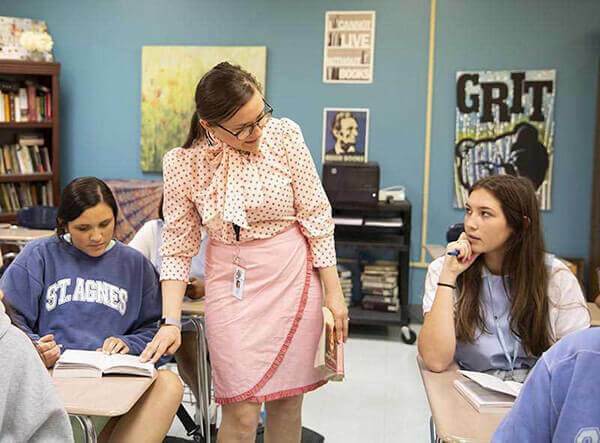 In all of her many roles at St. Agnes, from swim coach, to writing advisor, to class sponsor, Ms. Connick shares her light with everything she is a part of at our school: “Needless to say, life has gotten a little bit busier, but with that, it’s been more fulfilling as well.” Each day at St. Agnes Ms. Connick shares her talents and kind personality with everyone she encounters and, whether it is with constructive affirmations in the classroom or a smile in the hallway, she makes our school shine that much brighter.